EDINBURG — New Mexico State erased a late fourth-quarter deficit, scored the first six points of overtime and never looked back, defeating UTRGV 79-77 on Saturday at the UTRGV Fieldhouse. The Aggies, picked the win the conference in the preseason coaches and media polls, were put on the ropes by a spirited Vaqueros team that pressured, bullied and outright outplayed the Aggies for long stretches of the game. But the experienced New Mexico State squad was never completely unnerved, and despite 22 turnovers, it shot 50 percent from the floor and did not miss a free throw, staying in the game. No team led by more than six points in the nip-and-tuck contest, and when UTRGV took the late lead, the Aggies put the ball in their best players’ hands. “They made shots. They are big-time players and made big-time shots,” UTRGV coach Larry Tidwell said. None bigger than Zaire Williams’ 3-pointer from near NBA range to knot the game at 67 with 12.8 seconds left, forcing overtime. At the onset of the five-minute overtime period, New Mexico State’s Gia Pack (29 points) took charge. The 5-foot-10 forward scored 10 straight points for the Aggies to give them a 77-73 lead with a minute left in the game. But even with Pack’s heroics, UTRGV, behind six overtime points from Weslaco’s Laura Van Tilburg, was still in the game. The Vaqueros scored the next four points — two Jameka Dowell free throws and a Van Tilburg layup — and evened the contest at 77 with 9.1 seconds left. A New Mexico State timeout advanced the ball past midcourt. Off the inbounds pass, Williams drove to the hoop and was fouled by Van Tilburg with 2.9 seconds left. Williams (17 points) drained her two free throws, and UTRGV wasn’t able to get a shot off before the buzzer sounded. The loss dropped UTRGV to 1-6 in the WAC (11-11 overall) and marked the team’s second overtime defeat. New Mexico State improved to 6-1 and 11-10 overall. The Vaqueros turned the ball over 23 times, and Tidwell said many of them were of the unforced variety — traveling and missed passes. UTRGV also struggled from 3-point rang. Last week against Chicago State, the Vaqueros were on fire. But on Saturday, they connected on just 7 of 20 and shot 46 percent from the floor overall. UTRGV outrebounded NMSU 40-29 and held NMSU’s Brooke Salas to just nine points — well below the 20 she was averaging entering the night. Tidwell’s combination of Valeria Tapia (8 assists), Van Tilburg, Megan Johnson (15 points) and Alicia McCray gave UTRGV a boost and matched up better against the Aggies. The group went on runs of 9-3 and 12-3. 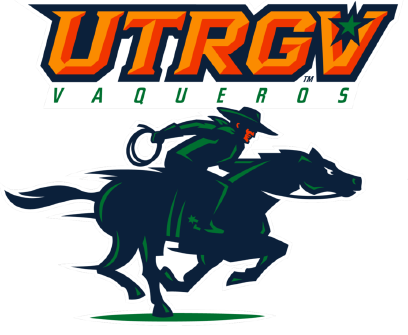 UTRGV is on the road this week against Grand Canyon and CSU Bakersfield.